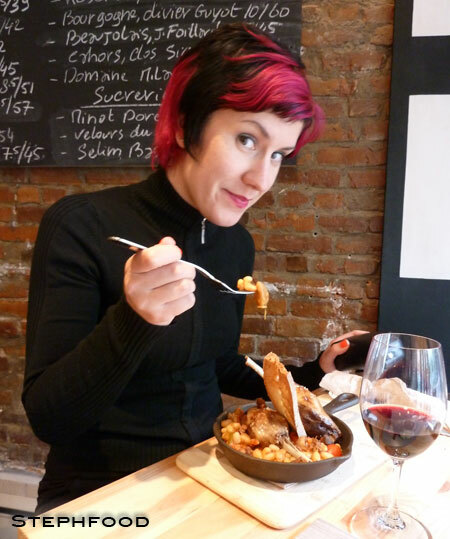 To start – and I mean AS SOON AS YOU GET TO QUÉBEC CITY – make your way to J.A. Moisan Épicier (699, rue Saint-Jeann). Stock up on some great Québec beers, spices (including some Épices de Cru! ), cheese, meats chocolate and all sorts of great stuff. This store is huge, and great to explore. We only found it on our last day, and wished we had gone sooner. 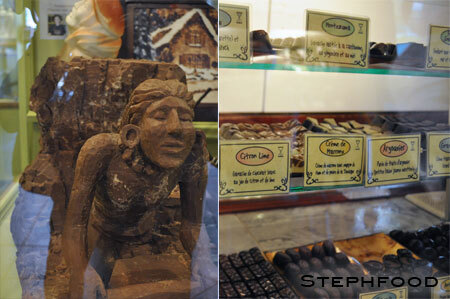 While in the neighbourhood, head on over to Choco-Musée Erico (634, rue Saint-Jean). They have a cute little chocolate museum attached to their chocolate and ice cream shop. Make sure to try as many things as possible! The truffles come in many incredible flavours, and the prices are very reasonable for the quality. I love that they use spices in many of their concoctions – and when it says ‘chipotle’ on the list, it really IS (and not some fake cinnamon-hearty tasting artificial flavour). Looking for some dinner, with a focus on local ingredients? 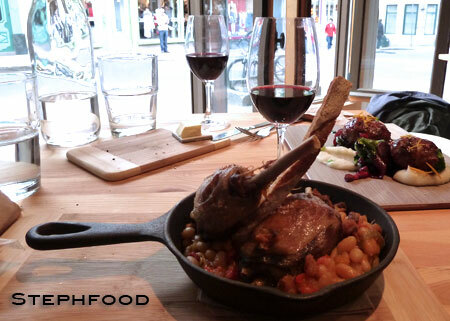 Le Moine Échanson (585, rue Saint-Jean) is not far, and offers some incredible and interesting food. Our server was great at helping us decide which mains to get (read: Steph is indecisive) and pair wines with them. The service was excellent, and we left satisfied (actually, kinda stuffed). Wandering through the old city? Don’t be frightened by the tourist shops, there are some good eats and drinks to be had! 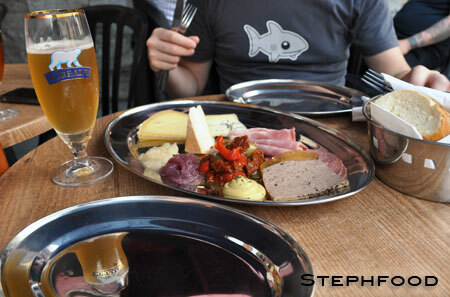 We felt like a nosh for lunch, and got meat and cheese plates from Le Pape Georges (8 1/2, rue du Cul-de-sac). 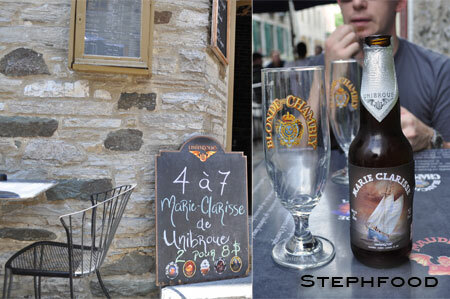 Afterward, we wandered over to L’oncle Antoine (29, Rue St. Pierre) for beers – they have a great selection from Unibroue, as well as other great breweries. We actually ended up back here the next day for lunch, which was a smoked meat sandwich for me, and a European hot dog on an amazingly fresh roll for J! 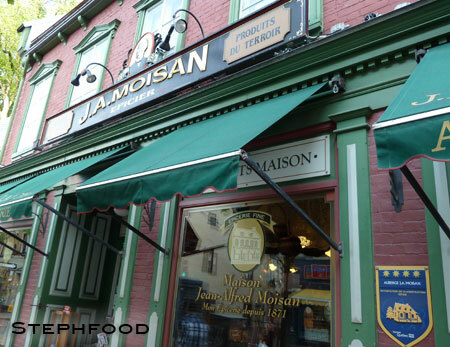 There are lots of places to eat and drink while staying in old Québec City. While we were encouraged to hit le Grande Alée, we found it to be a little more clubby/touristy than we were looking for. As you may be able to tell, rue Saint-Jean ended up being our favourite place to wander. This won’t be my last trip to Québec City!